There’s a popular doctrine stating that if it’s not broken, don’t fix it. I disagree. My tenth grade World Civilization teacher explained his reasoning in one of the many after school chats we had. Even if something is not broken, there is always better. Of the numerous things we talked about, this one particularly stood out because it changed a paradigm at the onset of my blossoming intellect. This is especially true in writing. 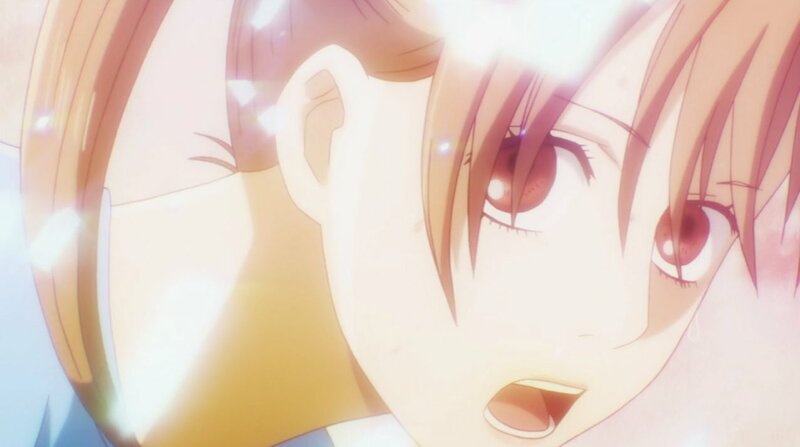 I am a terrible writer as most of you noticed by now from my blogging Chihayafuru. It’s a challenge. And it’s very discouraging at times when I read others’ creations with words. Just last night, I felt sick upon reading “…irresistibly human“. The mastery demonstrated to capture and express so much more in that succinctness rivals that of 2DT. It makes me feel hopeless. Yet I am reminded that there are countless other writers that are better than Lauren and 2DT. So what makes a certain piece of writing better than another? After all, it’s just a certain arrangement and combination of chosen words. How does one improve that? I ponder that each week as I humbly request your audience. I still lack an answer. There is one thing that I am certain of though. Good writing transcends the topic at hand. The expression of a particular thought and idea does not stand alone in a vacuum. Everything is interconnected more or less. Good writing bridges the world around us. Perhaps my readers can help me improve my writing. Like team karuta, everyone brings a different perspective to the game. The same holds true for writing. I have a tendency to write through a lens of gender politics and this episode baited me with Porky’s exclamation of “I will treat her like a boy” which I had to fight to decline. I am really asking. 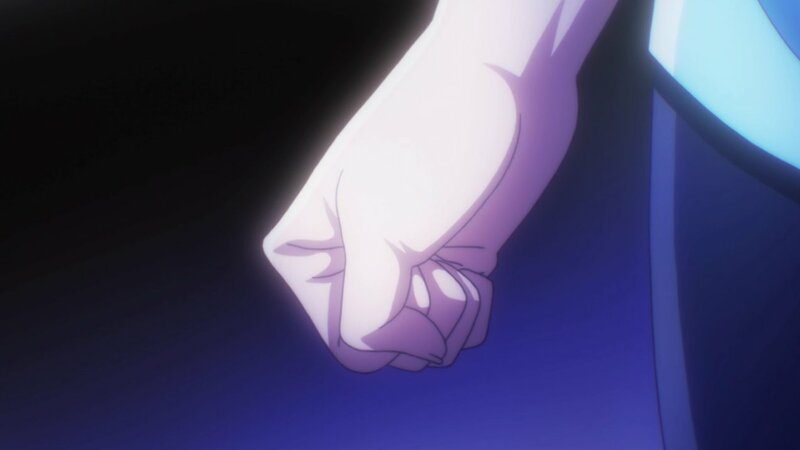 You can’t see it but my fist is as tight as Chihaya’s. I think your writing is good. That master experience of maid cafe was the best. Kana-chan was out? Totally unfair. I really want to see her in the final round. She was the first player to get a win from Akashi Girls School. I’m really mad at Tsukuba, he should instead tell to Pork-kun to be replaced, since he lost, he too much cares the opponent’s gender, not concentrating on the game, not professional, disqualified from being in the team. It’s bittersweet. 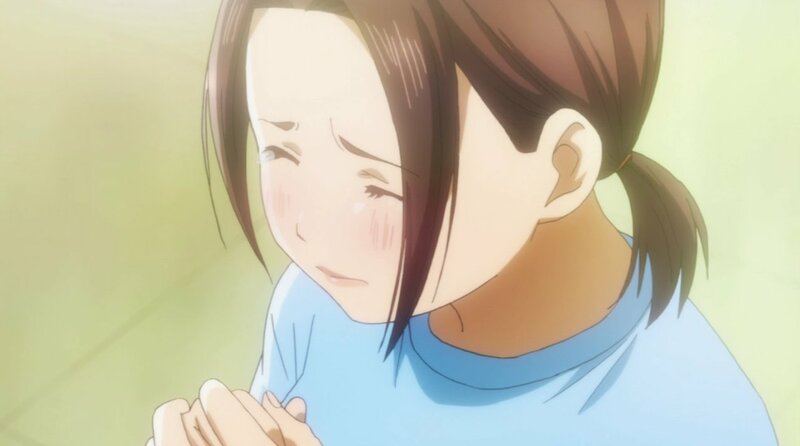 Yes, I’d love to see Kana-chan in the final but she deserves a good rest!